Submitted by mahoney on Tue, 01/08/2013 - 5:17pm. Submitted by Perrdom 05-11-2008. Now maintained by mahoney. Updated the file. Net decrease of 9 locations. Updated the file. Net increase of 3 locations. Updated the file. Net increase of 28 locations. Updated the file. Net increase of 17 locations. Updated the file. Net increase of 20 locations. 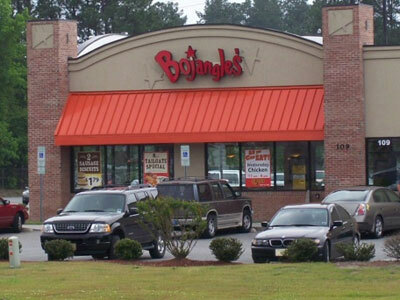 Updated the file using the latest data from the Bojangles website locator. Net increase of 6 locations. Submitted an input for the location in Pittsboro,NC. Added new locations in Lithonia,GA and Harrisonburg;VA. Updated the file. Net increase of 10 locations. Updated the file. Added 4 new locations, 6 coming soon, removed 1 closed location and removed 1 duplicate.